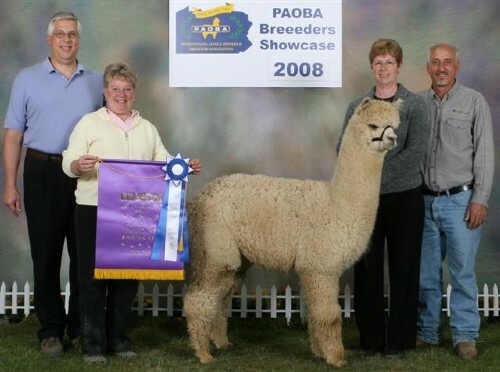 Eastland Alpacas is an alpaca farm located in Mount Joy, Pennsylvania owned by Kevin and Sue Zurin. Spring is right around the corner! Time to start thinking about breedings for your girls! Check out our herdsire lineup and choose the male that's right for your girls! Welcome to Eastland Alpacas! 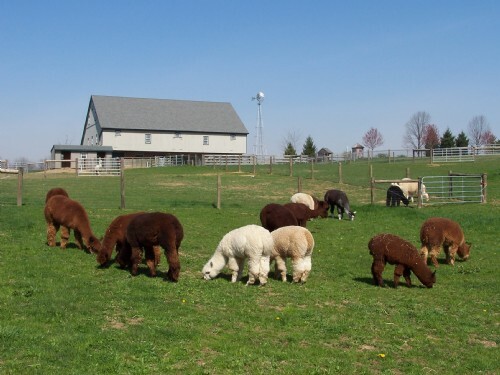 Eastland Alpacas is a 30 acre farm in Lancaster County, Pennsylvania, conveniently located between Lancaster and Harrisburg. Our goal is to provide quality animals and breedings to improve with each generation of offspring. We are proud to have a BVD FREE herd here at Eastland. Our herdsires have bloodlines from Simba, Royal Fawn, Dracula, Fire and Ice, and Caligula along with the Accoyo and Alianza herds. 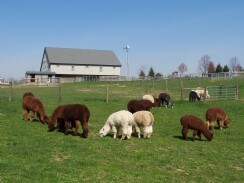 As you look across our pastures you will see alpacas in a variety of colors. We are both from a farming background and find raising alpacas to be a very peaceful and rewarding lifestyle and know you would feel the same after visiting with us. 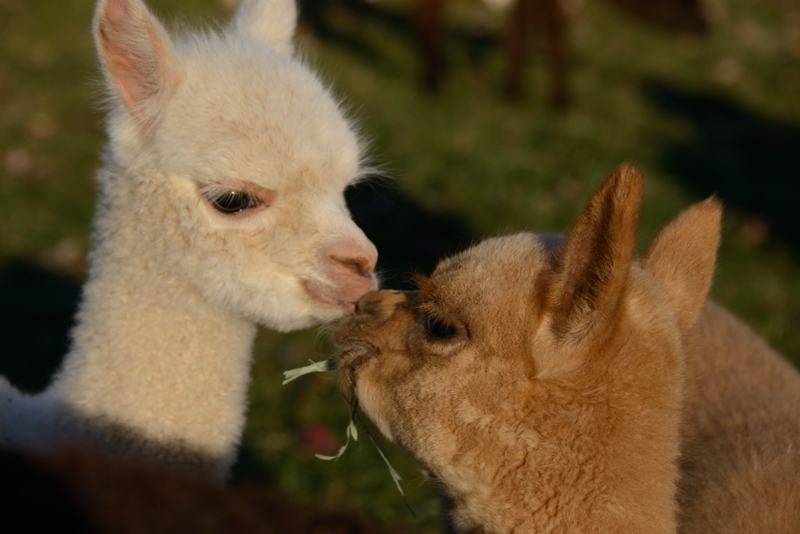 You will find friendly, tame, leadable animals that are easy to work with here at Eastland Alpacas. Our alpacas are trained to lead at a young age and yes we do know them all by name, not by a number or name tag. Services offered from Eastland Alpacas include sales, breeding, boarding, financing, and ongoing support and advice to all our customers. 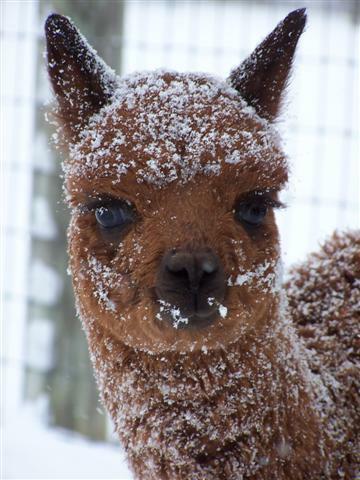 After purchasing your alpacas from our farm we are always just a phone call away to answer any questions you may have. We feel good service and support to our clients that are starting up new farms is extremely important. In addition to raising alpacas, we also have an on-site farm store stocked with all types of wonderful items made from alpaca fiber. Our farm has an annual "Open House" the first two weekends of November. It is a fun time for all ages! 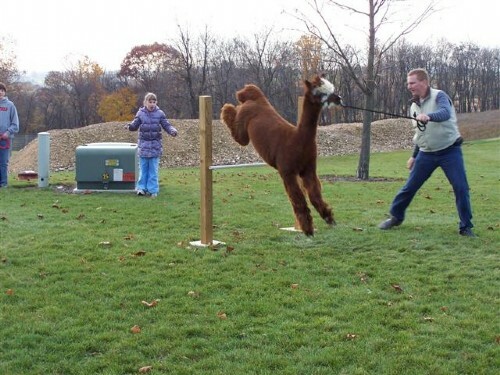 We also have a 4-H Club "Alpacas with an Agenda" that is held here at our farm. The children use our alpacas and just love it. We would encourage other farms to start 4-H clubs. It's a great experience for the kids. Visitors are always welcome to visit with us, the alpacas and the farm store at anytime. Please look under contact us for travel directions. Call or email to schedule a visit to get your "Warm Hug from Nature" with these wonderful animals.